More Mom’s Helping Moms; Meals for Ronald McDonald House Sponsored By Target! 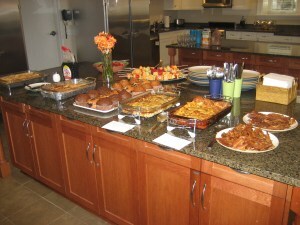 As the More is More Mom®, I’m all about………..(With help from Target) more Meals for Moms staying at Ronald McDonald House. My mantra is more of everything is always better, especially when it comes to family and giving to a worthy cause. Ronald McDonald House Charities provides a “home away from home” for families with children that are receiving treatment at local hospitals. I can’t think of a nicer way to show these families warmth and support in their time of need than with a homemade meal. This past fall, Amanda and I had the pleasure of bringing a meal to share with the families staying at the Ronald McDonald House, serving University of Chicago’s Comer Children’s Hospital. We were so moved by the experience, we knew we had to do it again. I suddenly had an epiphany. Target was invented for moms like me; maybe they would want to help me help other moms. I zipity-zipped over to my favorite Target, in Warrenville, IL (because they have a super-duper grocery store; shop for food, shop for clothes, shop for home, shop for fun!) and I made a wonderful new friend in Store Manager Madeline Smith. When I shared with Madeline my plan to make a meal for the families staying at the Ronald McDonald House near Children’s Memorial Hospital, she jumped at the chance to get Target involved. They contributed $150.00 in groceries! The moons and planets all moved into alignment when my dear friend Sal Swanton, of Swanton Video Media, Inc. (sal@swantonvideomedia.com), had an amazing idea; let’s make a video to raise awareness about Ronald McDonald House Charities and their Meals for Moms program. 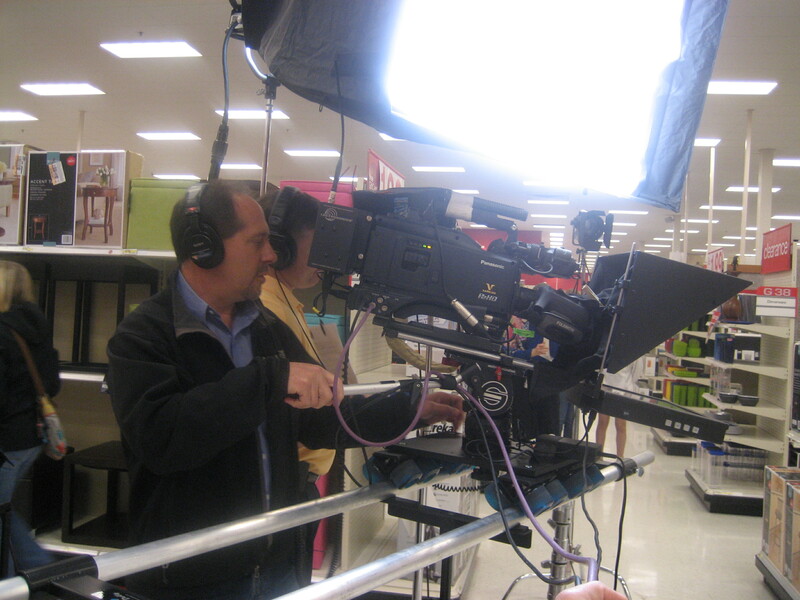 Once again, Target jumped at the chance to help the community, allowing us to shoot our video in their store. 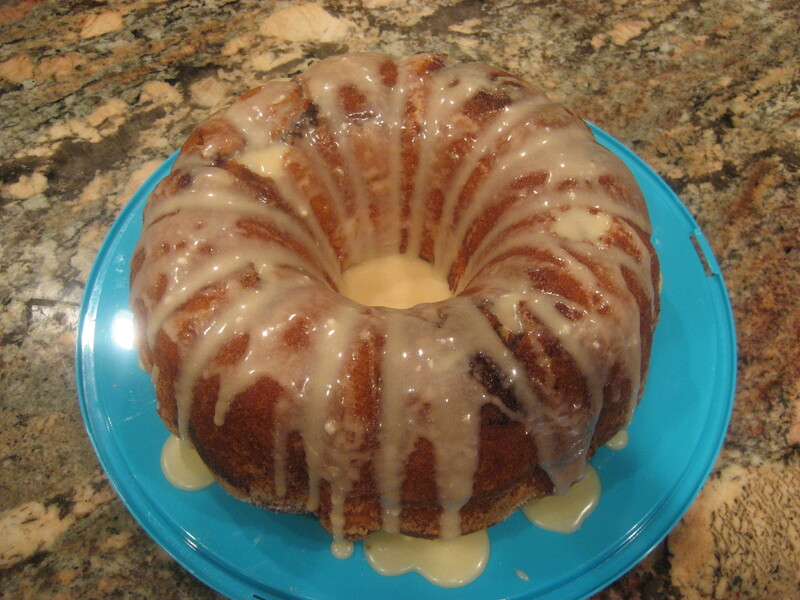 It’s so tasty you might want to make two! 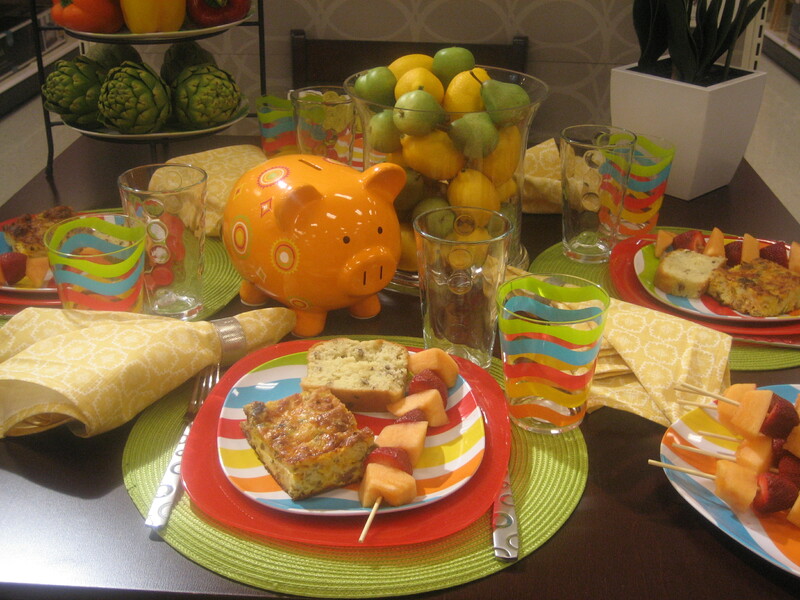 Slice and serve to the delight of your family and friends……. 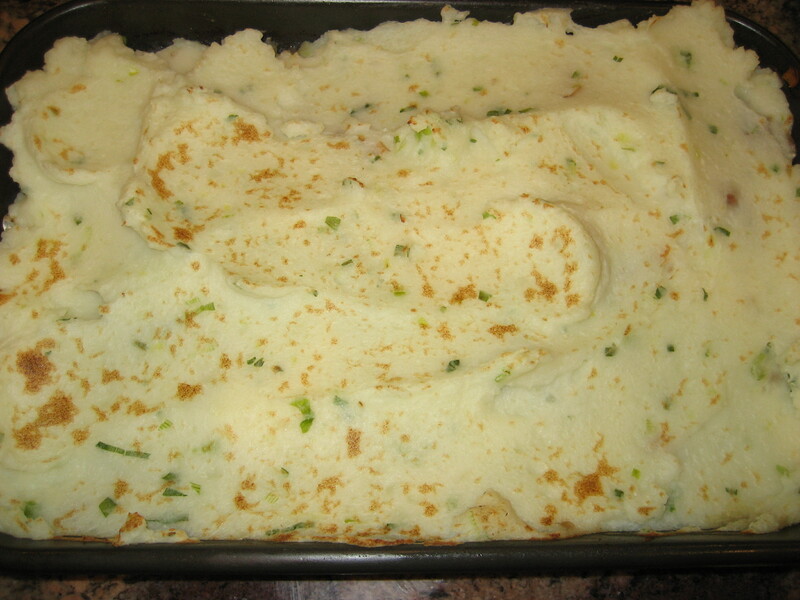 Shepherd’s Pie, Shamrock’s and Shillelagh’s; A St. Patrick’s Day Feast! 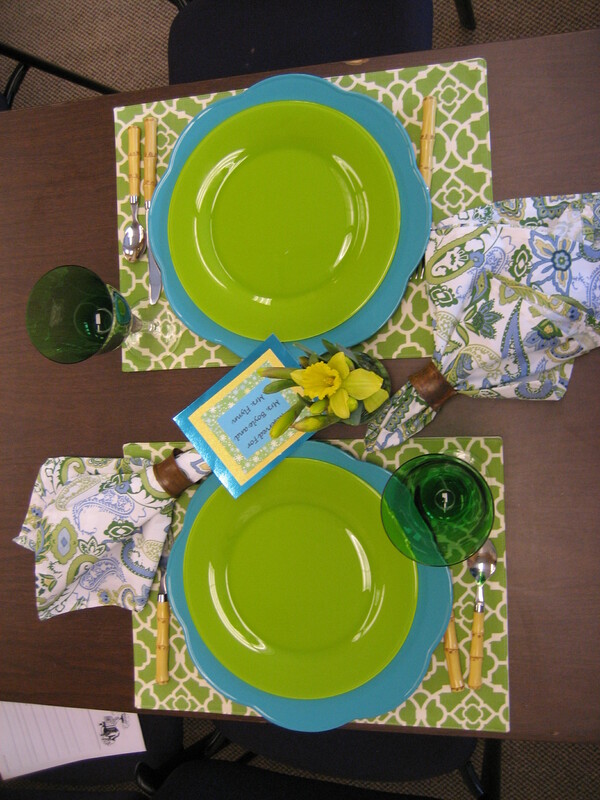 Delicious dinners are best enjoyed at a beautiful table. To me Ireland represents both the gorgeous, rustic countryside and the elegance of fine china, cut crystal, and stunning linens. I love the juxtaposition of the casual with the formal. I covered my table with a cheerful, apple green tablecloth with paisley’s and floral scrolls, and rich brown woven placemats. 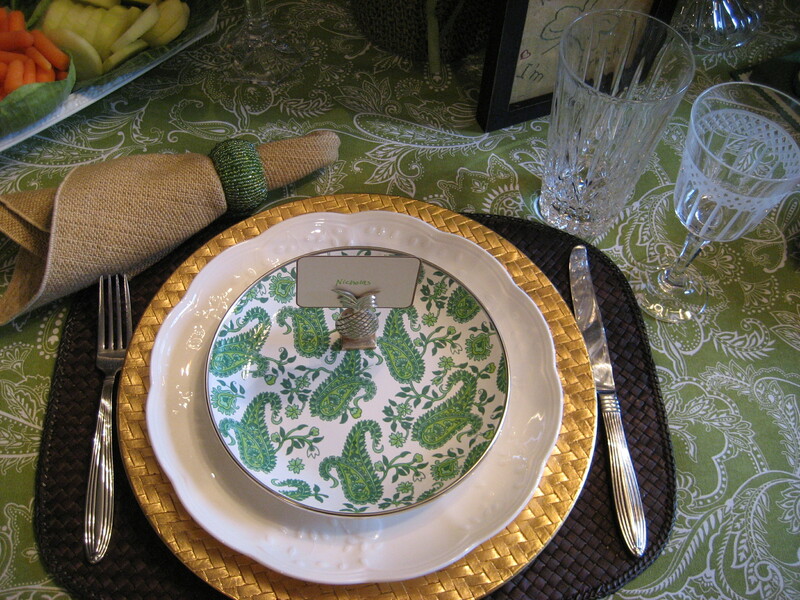 More of everything is always better so I added a gold leaf charger, white china with a scalloped edge and a dessert plate with Kelly green paisley’s (to echo the paisley in my tablecloth). Ireland always makes me think of wonderful textures, like nubby burlap, which is why I chose one of my favorite, heavily woven napkins. Again, I love the combination of rustic with elegant, so I chose to use green beaded napkin rings. Of course, nothing but the sparkle of cut crystal would do for both the water and wine glasses. 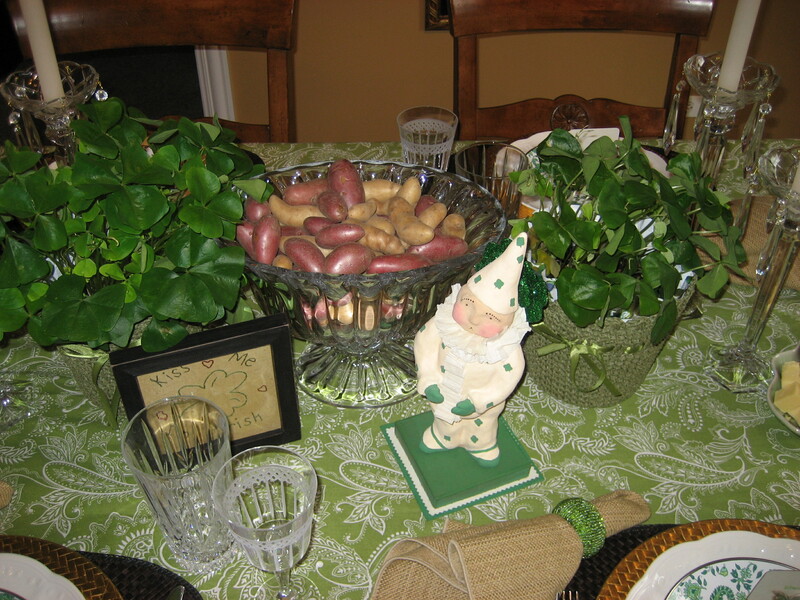 As a centerpiece, I filled a footed glass pedestal bowl with fingerling potatoes, flanked by shamrock plants (Oxalis) and crystal candlesticks. 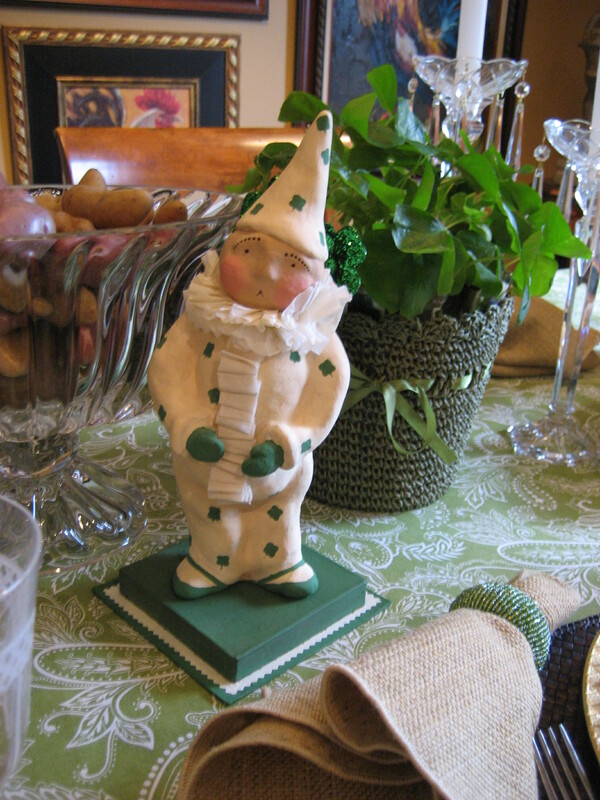 For a little extra charm, I placed a sweet clown, adorned with shamrocks and a framed needlepoint “Kiss Me I’m Irish” plaque. 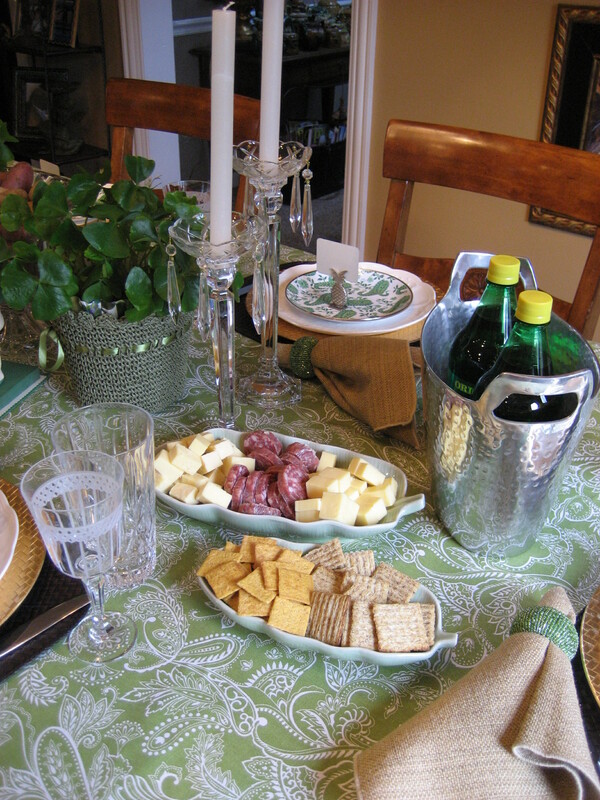 With such a hearty meal planned, I only put out a few little snacks; Kerry Gold Reserve Cheddar, Blarney Castle Smooth and Creamy Gouda with salami and crackers. 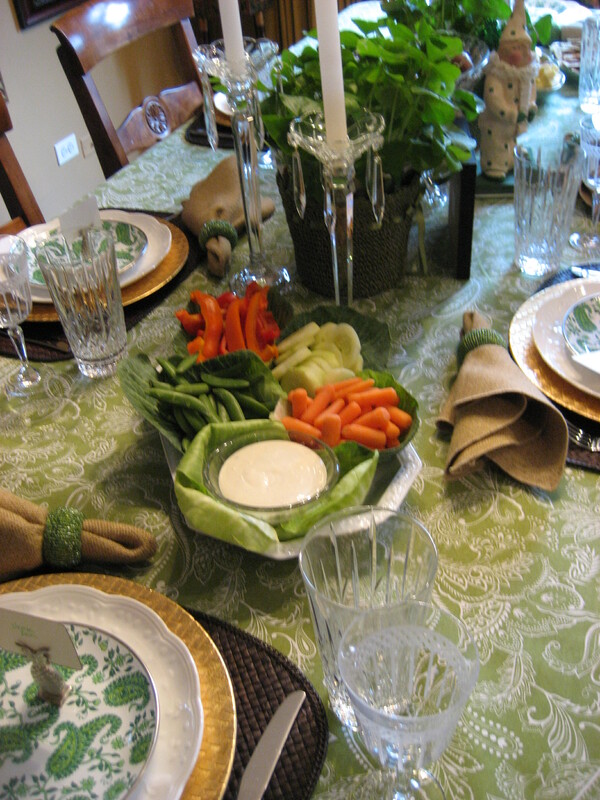 Fresh veggies are always a hit, so I placed the carrots, cucumbers, snap peas and peppers in individual cabbage leaves. They were just darling. In the meantime, you can get the potatoes prepped. 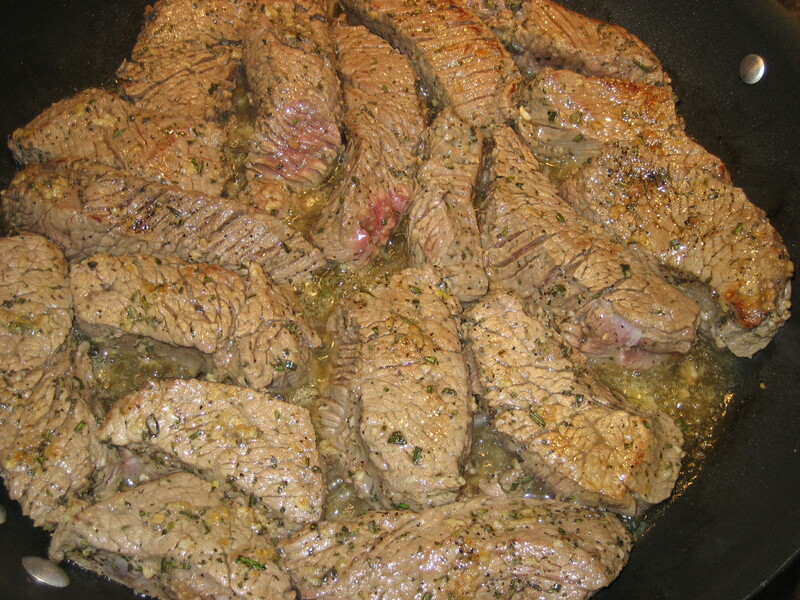 No need to start cooking them though until the last 40 minutes that the beef is cooking. 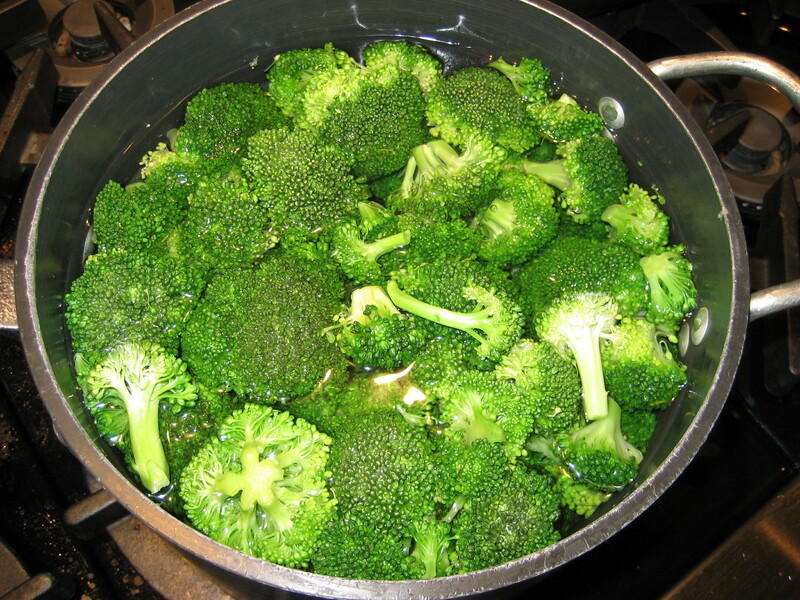 In a large stock pot, cover the potatoes with cold water, bring to a boil and reduce heat to low. 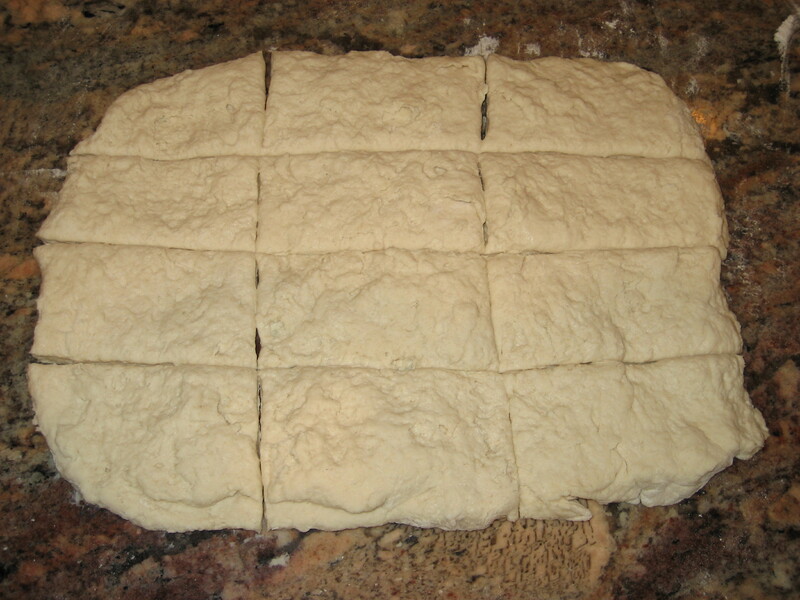 On a floured surface, knead dough and roll out into a rectangle shape, approximately 1/2” thick. 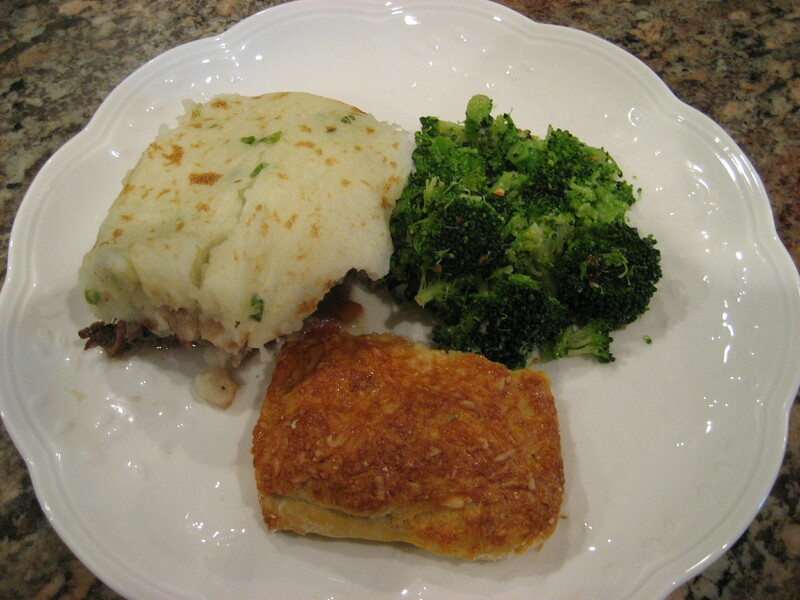 On a dinner plate, place heaping spoonful of the Shepherd’s Pie, broccoli and the Irish Soda Bread. 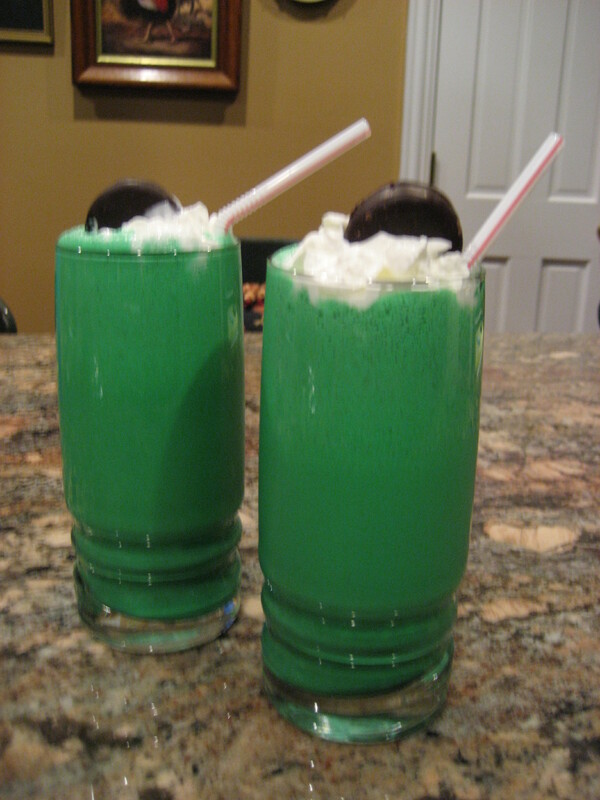 More celebrating, more sharing meals, more Irish Blessings…..
I’m Dreaming of a White (Out) Wednesday…and Homemade Macaroni and Cheese! As the More is More Mom®, I’m all about………more Snow Days!! While the first day of Daylight Savings Time (as in fall back, not spring forward) is my all time, most favorite day of the year, nothing compares to the gift of a whole extra day!! Don’t you remember being a kid and listening to the radio or watching WGN (no email, no texting, no tweeting, no internet), waiting to hear if your school was closed? Sure, it’s fun to know that you can sleep in when you’re heading to bed at night, but it’s such a special treat to get to climb back into bed in the morning and bury your head under the covers; dreaming about all the fantastic ways you could possibly spend your Snow Day. Growing up in the city of Chicago is a far cry from suburban living. Our entire snowstorm existence was preoccupied with digging our car out of our parking place on the street, and then ensuring that after all of our sweat and exertion, no one else parked in “our spot.” It’s true; people would bring chairs and brooms out to the street to mark their spot. Heaven help the interloper that tried to park their car in a space of ill gotten gain. Suburban living is so much more civilized. We have a snow-blower, shovels and our very own driveway. In fact, snow removal is a neighborly and friendly affair. Nicholas, Amanda, Wrigley and I are really looking forward to our Wednesday Snow Day. 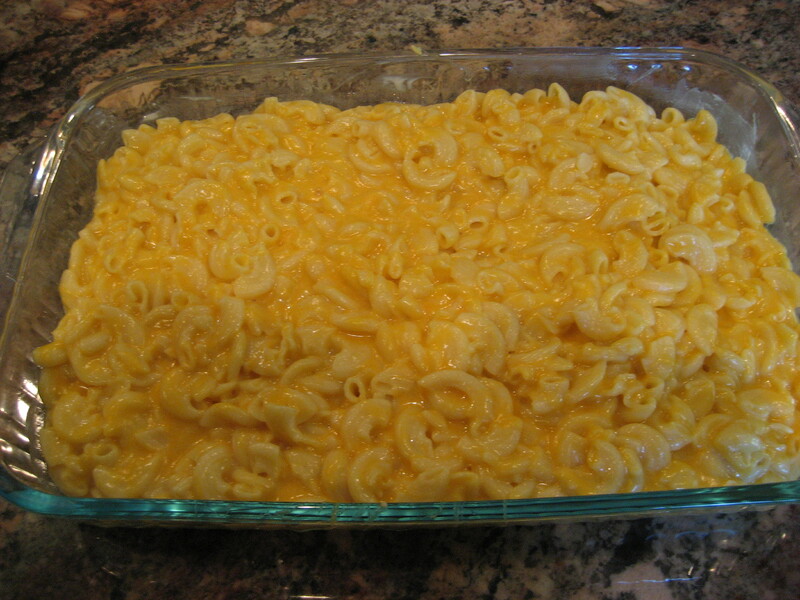 After they have big snow fun with all of our neighbor kids (the little’s play with the big’s), we’ll have hot chocolate, watch movies and I’m going to make our favorite homemade Macaroni Cheese. 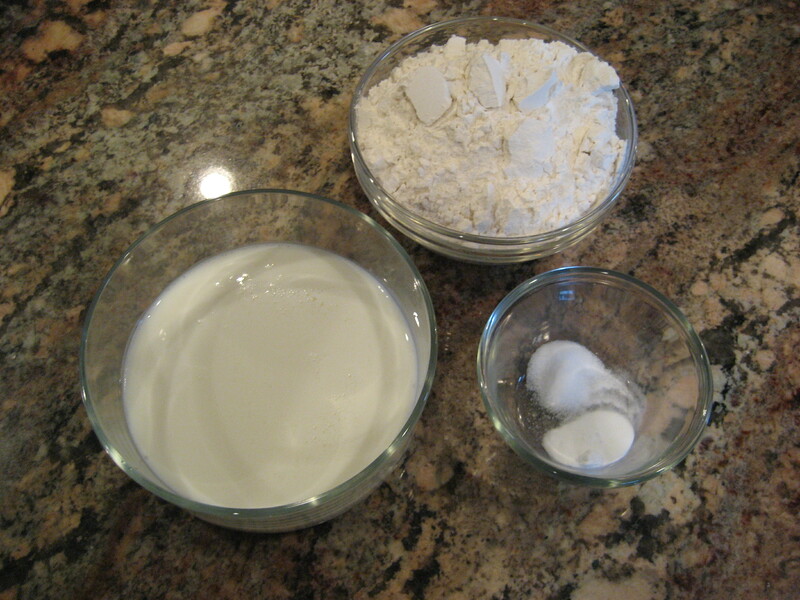 I’ll bet you already have all the ingredients necessary to whip up a batch for your family. This is so amazing and you can mix it all up a day in advance and just pop it in the oven an hour before you’re ready to eat. Kids love it (and the grown-ups do too). More found time, more appreciating moments spent together, more outdoor fun, more mac n cheese…..
As the More is More Mom®, I’m all about…….more amazing, over the top, culinary excellence and artistry! Next week marks the annual celebration of Catholic Schools Week, where we celebrate our teachers and community. While my children have both moved on from Our Lady of Perpetual Donations Grammar School, I wanted to share with you a story from my 13th and final year; the story of the Amazing Stacked Cobb Salad……. Our eighth grade class has many fun things planned to commemorate our dedication to academic excellence and show our appreciation to our amazing and devoted teachers. The week started off with flowers for the teachers and doughnuts for the students. There will be hot beverages and pastries for the teachers to begin their day and the week will culminate in dessert for the whole class. As a Room Parent, today was my day. I brought lunch. As you know, I believe that every event-big or small-should be celebrated. 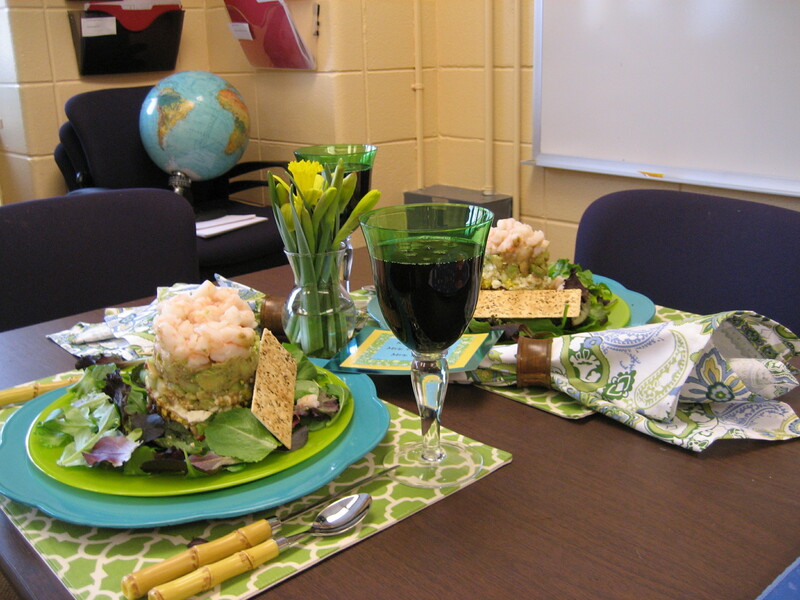 Showing appreciation for our incredible teachers is really kind of a big thing, as their commitment shapes the minds and spirits of our children. That my friend is an enormous gift, and there is not a gesture grand enough to express our gratitude to those that touch the lives of our babies. Besides, I live for opportunities to make things special. It totally beats cleaning the bathroom! Enter the Stacked Cobb Salad. I am a huge believer in planning ahead, rarely am I a fly by the seat of her pants kind of a gal. My preference for everything, and in entertaining in particular, is to prep as much as humanly possible in advance. 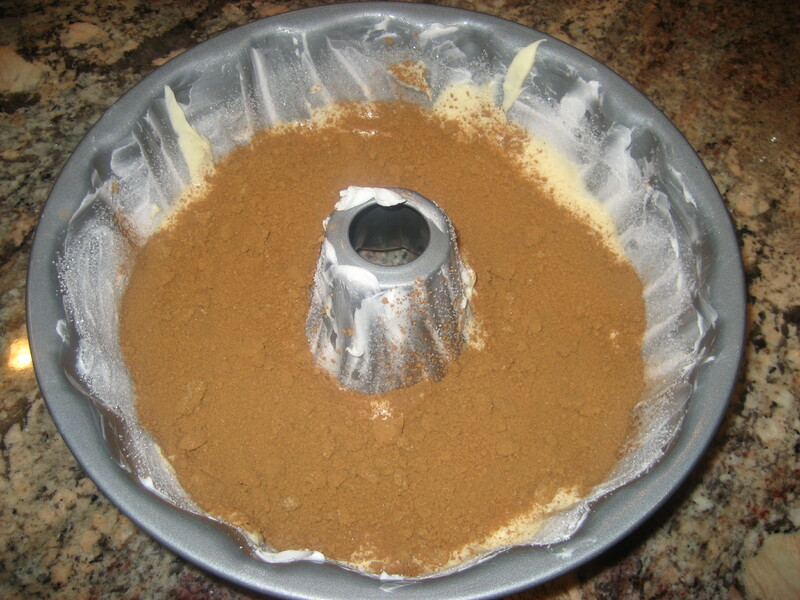 Toss in a food processor or blender. 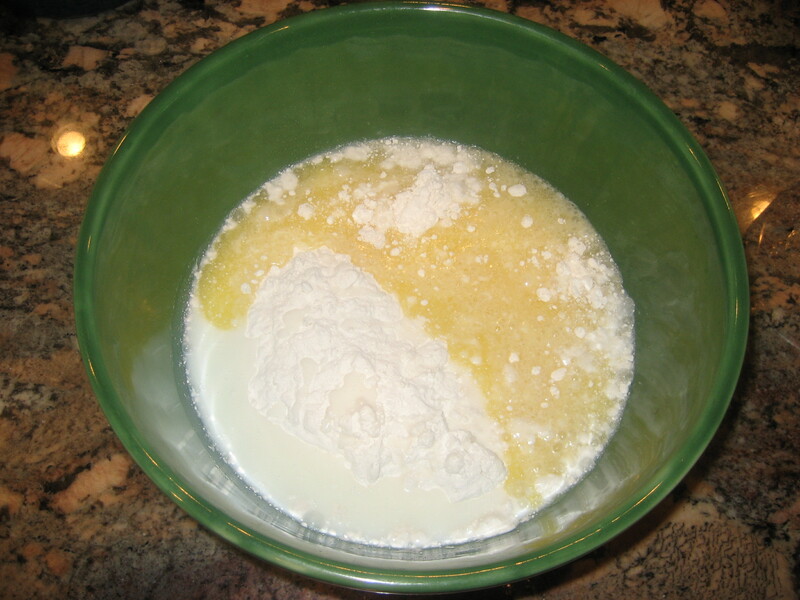 Puree on low speed and slowly add 2 ½ cups of olive oil until well incorporated. 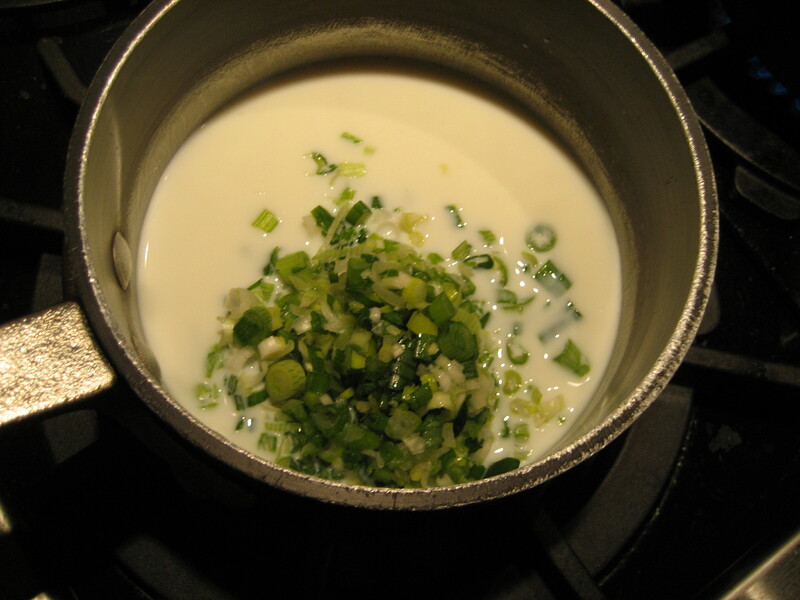 You want the dressing to be thick, so you will make it nice and creamy. 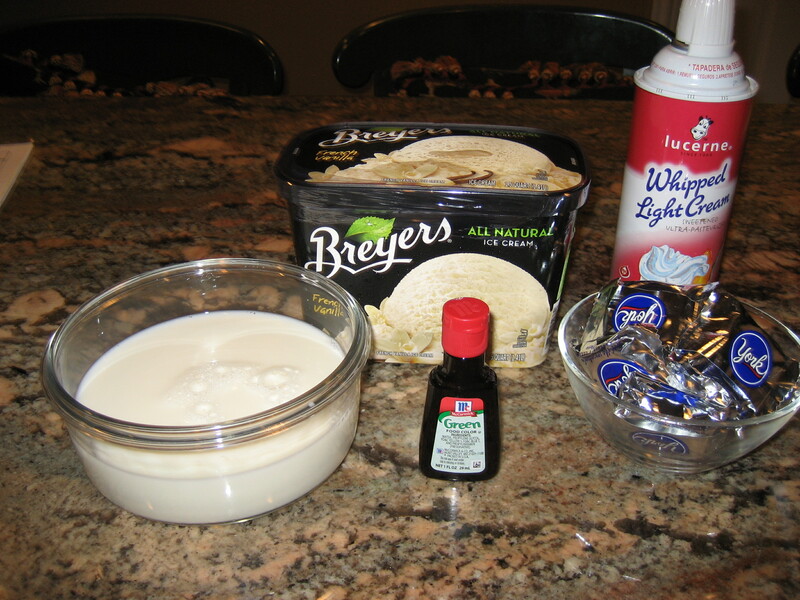 The recipe calls for a ½ cup of the Balsamic Vinaigrette and ½ cup of mayonnaise whisked together. I always think you need more, so I use about ¾ of the Balsamic Vinaigrette and eyeball it when I add the mayo to make a nice creamy consistency. Here’s the thing, there are so many variations that you can incorporate to make this salad customized to your own taste and budget. 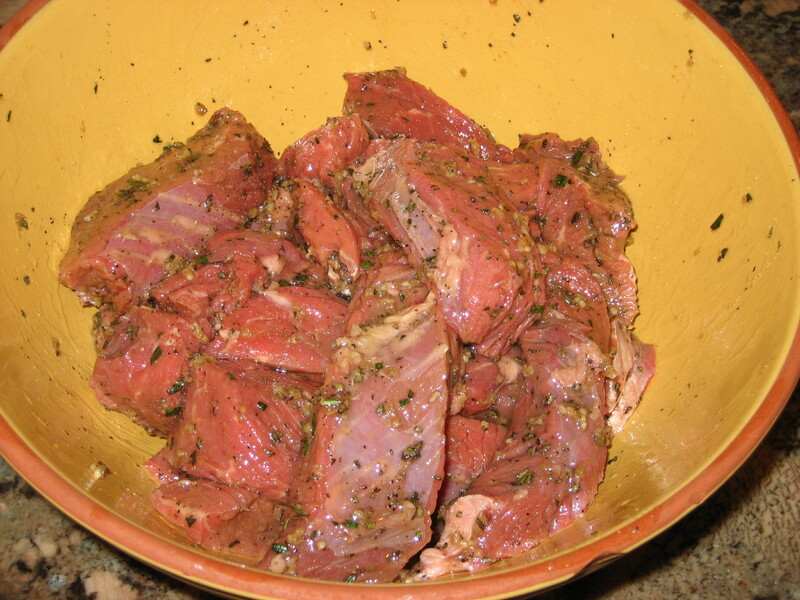 • 3-4 pounds lobster (live….I’m way too squeamish), I use lobster tails and figure one per person. 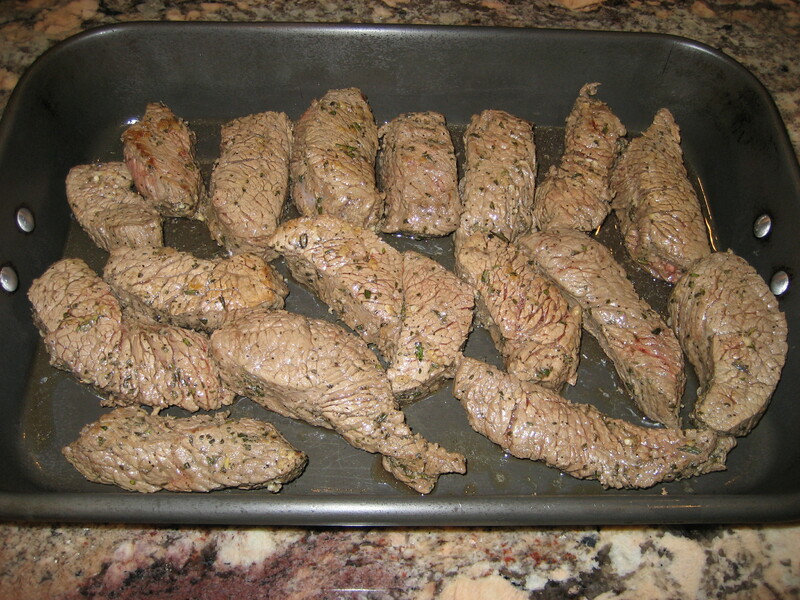 If your budget permits, for a serving of 4, I would use 5 tails… a little more is always better. 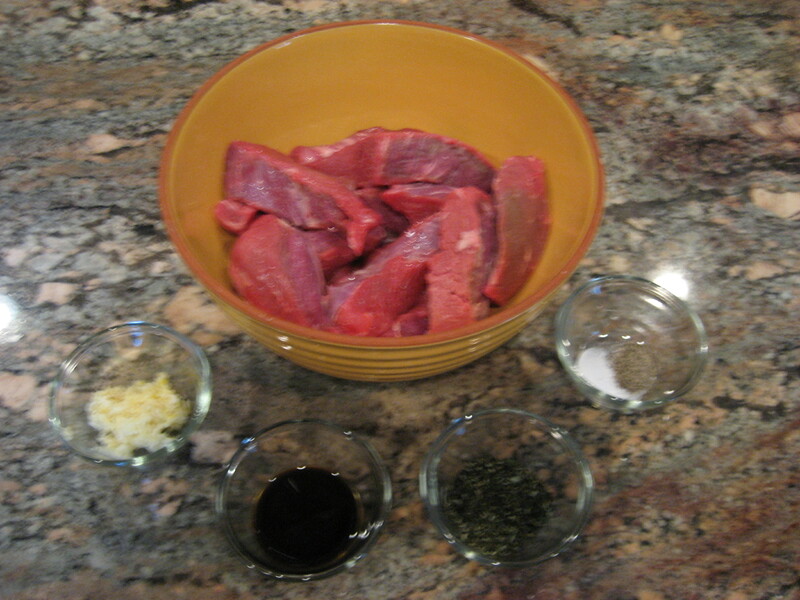 • Fill a stockpot with 6 quarts of cold water and add the lemons, bay leaves, peppercorns and salt. Cover and bring to a boil. 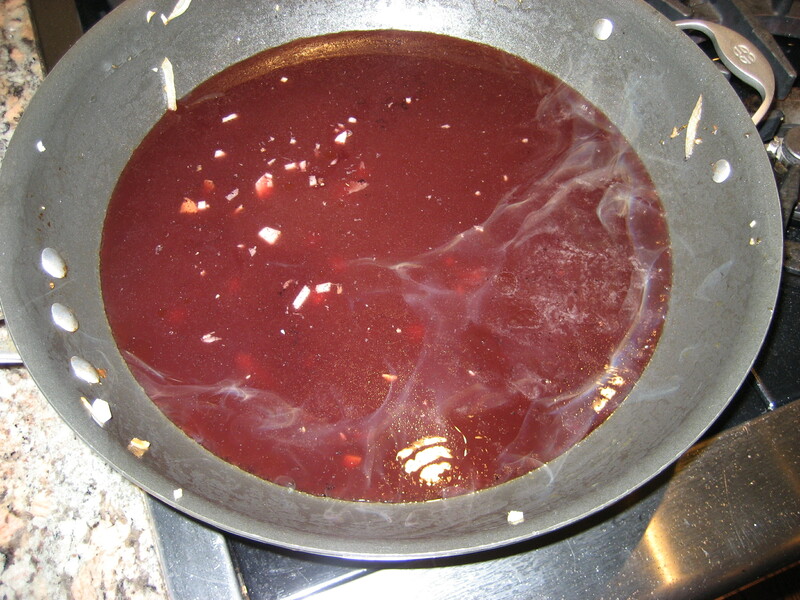 Turn down the heat to medium-low and simmer for 15 minutes to flavor the poaching liquid. Add the lobster and cover the pot for about 10 minutes, or until the lobsters are bright red. • Prepare an ice bath and submerge the lobster to stop the cooking process (so you don’t over cook the meat and it gets rubbery….complete waste of a beautiful lobster!). When cool enough to handle remove the meat from the shell and chop in to bite size chunks. I am all about being prepared ahead of time because I totally hate feeling anxious and stressed, so I do this a day in advance. I wrap the chopped lobster meat in paper towel to absorb and moisture, so the meat doesn’t get slimy and gross. I love paper towel and I especially like Bounty, the quicker picker upper. Store is a Ziploc baggie over night until ready to use. 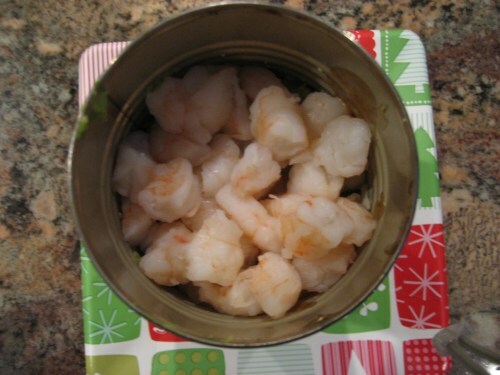 This time around, however, I defrosted a bag of shrimp, cut off the tails, and chopped it into bite size pieces. As is my method (I have many methods and think in another life I might have been an efficiency expert. I know I was not Cleopatra or Joan of Arc. I was a worker of some sort. I may also have been a purveyor of food, home goods and cloth at a general store, but I’m not sure), I wrapped the bite size pieces in Bounty and sealed them in a Ziploc baggie over night. You might also consider using a few grilled chicken breasts. The options are endless. The recipe calls for 8 slices of thick cut bacon, but I think 16 is more like it (4 per person…I mean if you’re a meat eater, who doesn’t like bacon?). I like a smoked, maple, bacon personally. 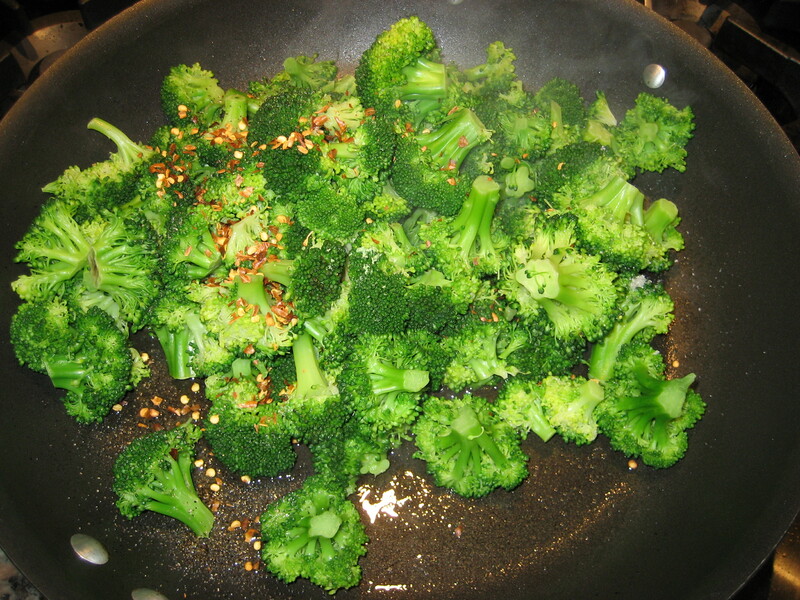 Fry it up in the pan, chop in to bite size pieces, wrap it in paper towel and store it in a baggie. 7 hard boiled eggs (I hate to be skimpy). 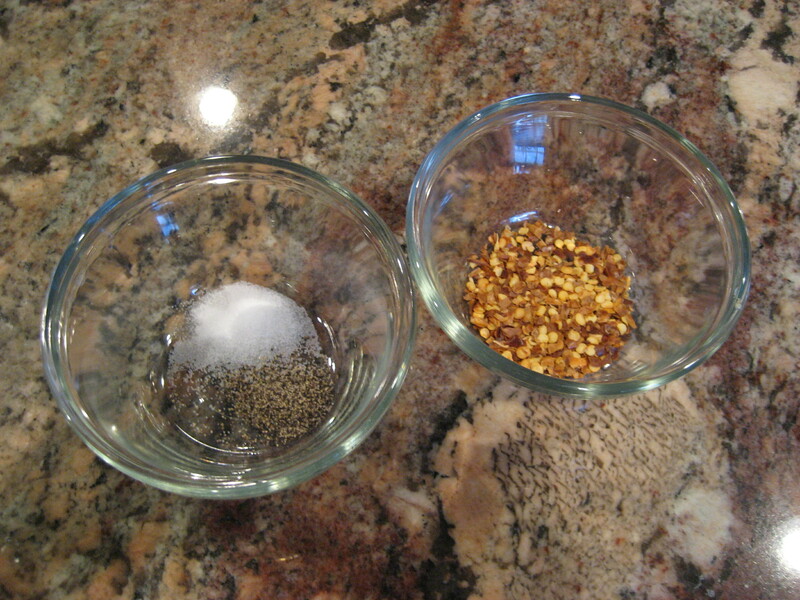 Separate the whites from the yolks. 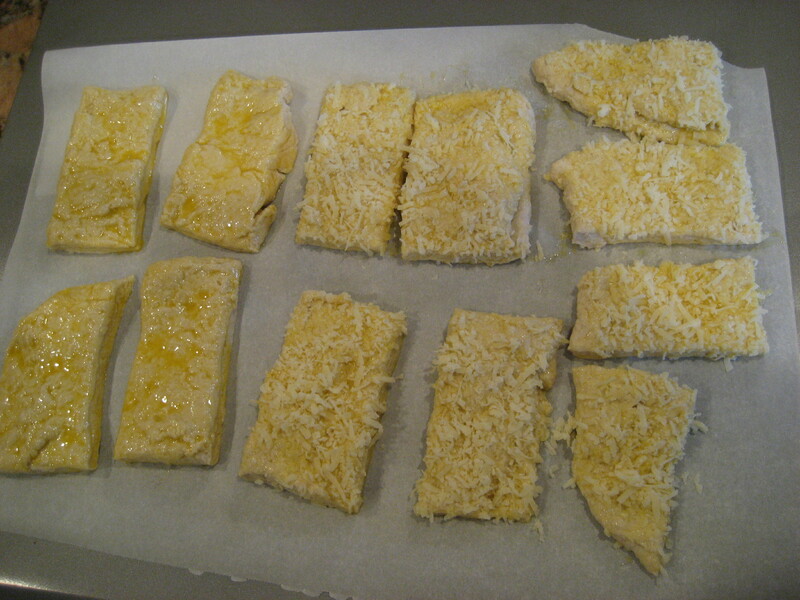 Chop in to bite size pieces, wrap in paper towel and store each in separate baggies. 4 Haas avocados. Peel, remove the seeds, chop, wrap and store. 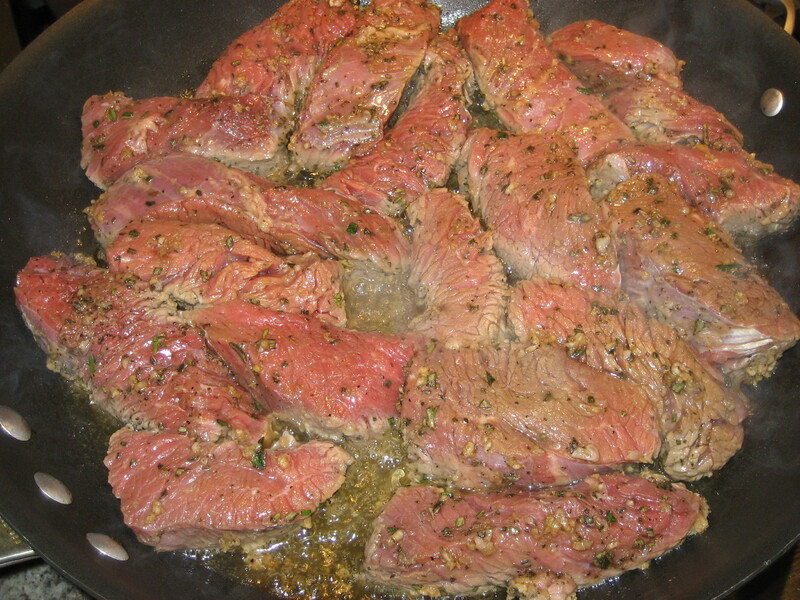 You can certainly try drizzling with lemon juice to prevent from some browning. 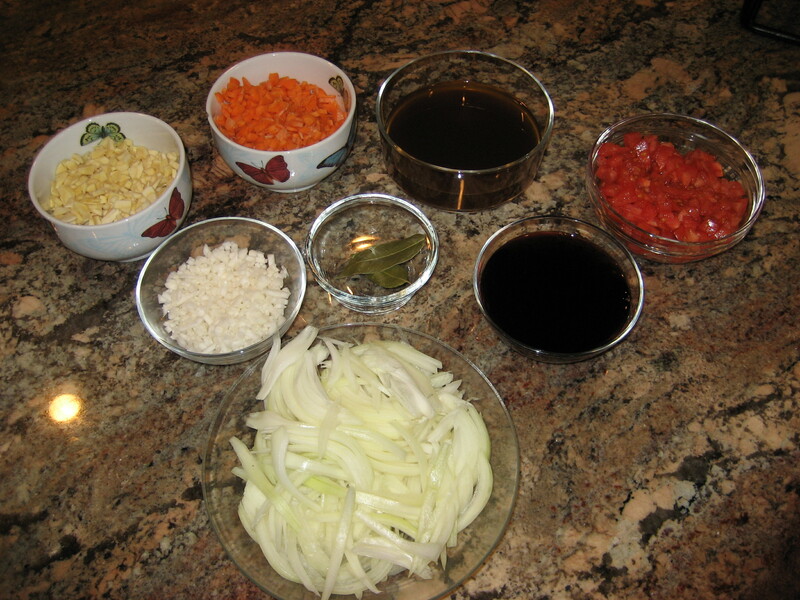 I don’t like to deal with a mess while I am preparing to entertain, so I can live with a little brown, it gets covered up in brown balsamic dressing anyway. I’m sorry Martha if I am being offensive, but I am one woman kitchen prep and clean up crew, so on occasion I must take a few shortcuts where my sensibilities will not be offended. I chop the avocado, wrap it in paper towel and store it all in a baggie. 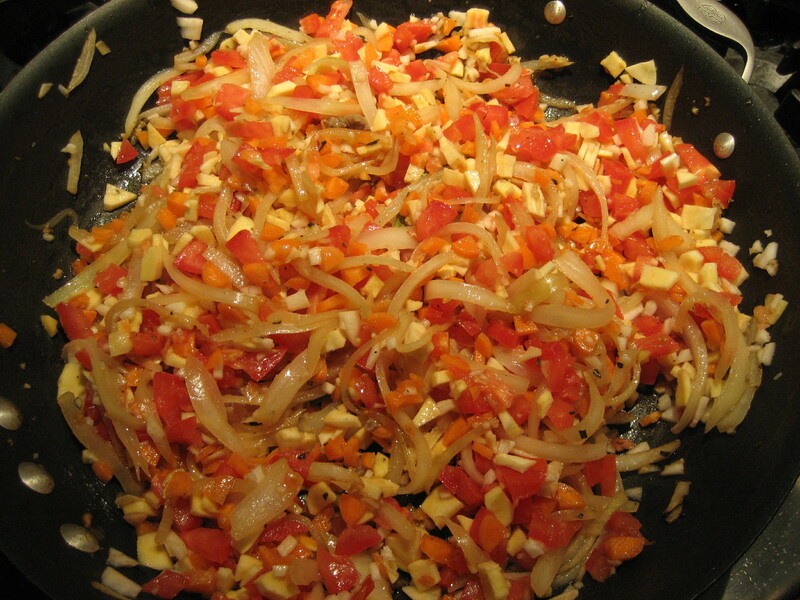 4 (or more…personal preference) vine ripened tomatoes, cored, seeded and diced. 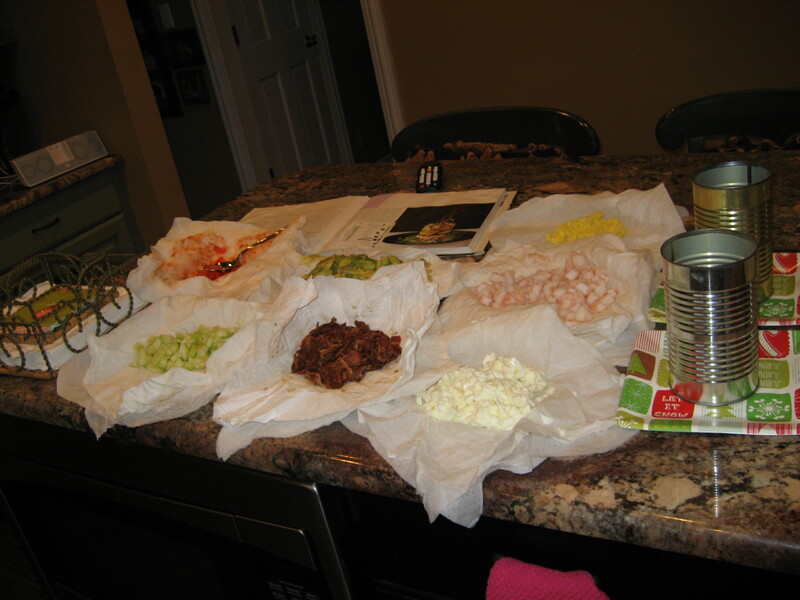 I wrap tomatoes in a huge wad of paper towels because they are so darn watery, and no one likes a slimy tomato. Chop, wrap, store. 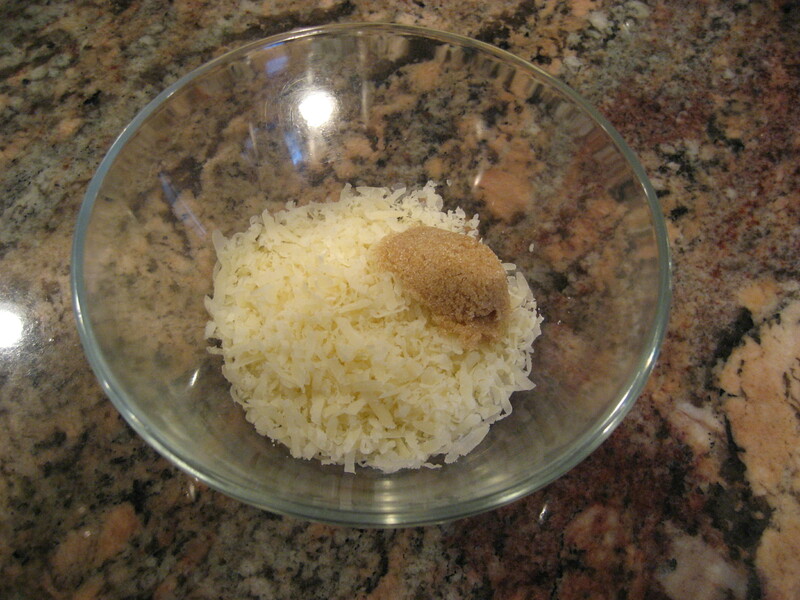 2 cups crumbled cheese. I hate blue cheese, so I substitute with feta because it is also a nice soft cheese, but use what you like. If you don’t like all of these ingredients, choose what you do like. 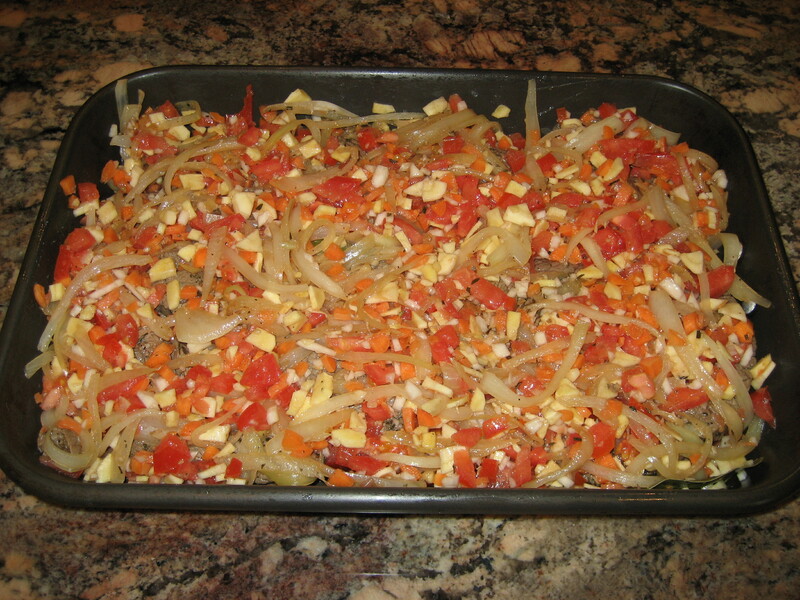 I have also incorporated diced cucumbers and carrots. C’est la vie! 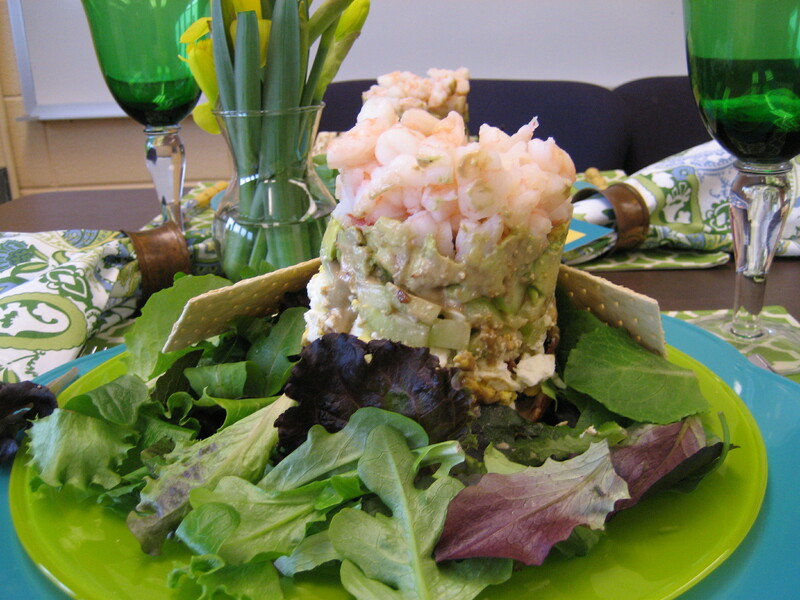 You will need a tube type mold to stack the salad, so it stays vertical. The least expensive and simplest thing to do is to purchase a 15 ounce (or whatever is closest) can of generic soup (or be thrifty and use this item to make dinner, perhaps homemade chicken noodle soup), empty its contents, remove the label, remove the lid from both sides, and wash. Now you have a tube shaped mold! 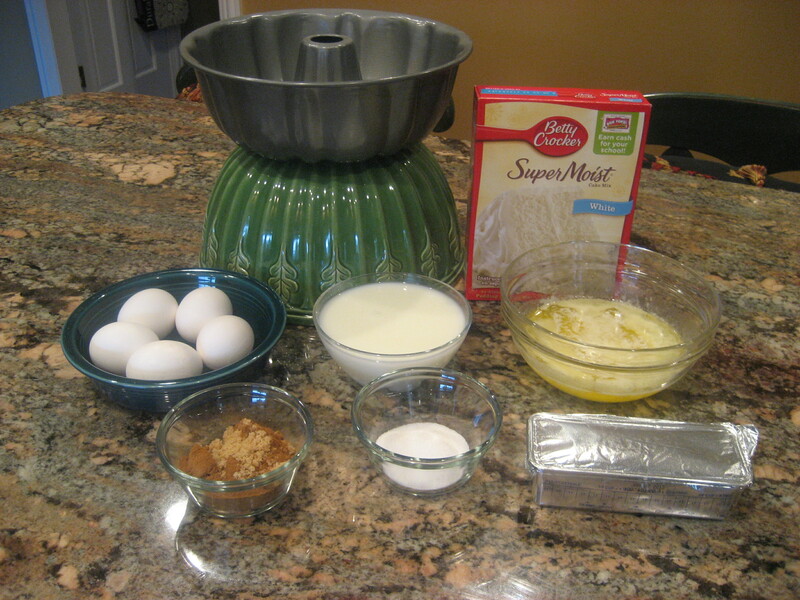 I have 8 empty cans for this recipe, as I have made it on several occasions. 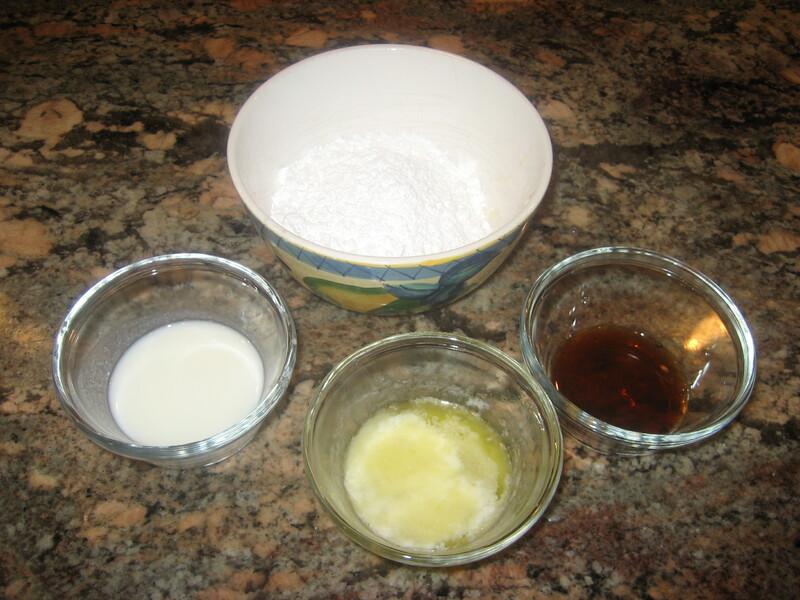 You really do need one mold per person because the layers needs time to stabilize and the dressing will bind the ingredients together in order for the stack to remain upright. Because I will layer the salad earlier in the day, I may use a small bread plate, or even easier a paper plate (because I am all about being efficient, and you can easily toss the paper plate in the trash when you are in the frenzy of putting out your masterpiece, and have one less plate to clean up per person). Place the mold on the plate. 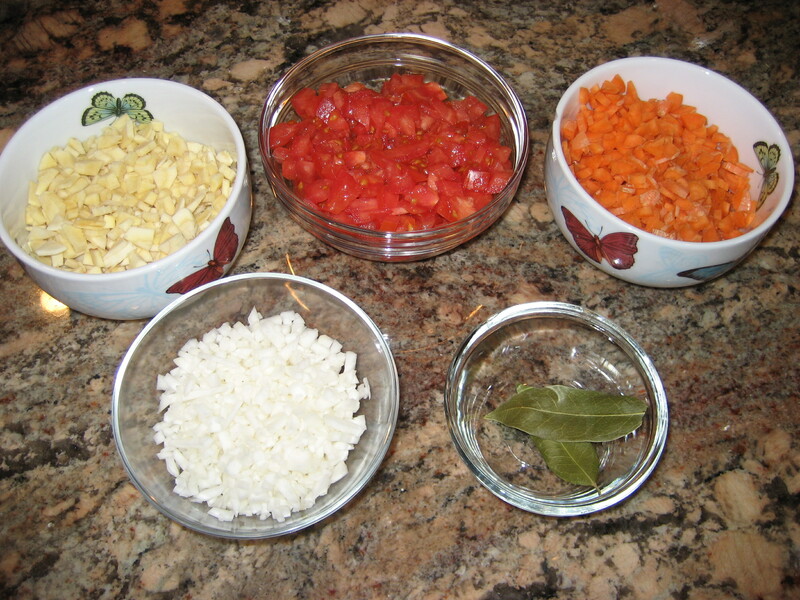 • Divide the tomatoes equally amongst the 4 cans and arrange on the bottom. 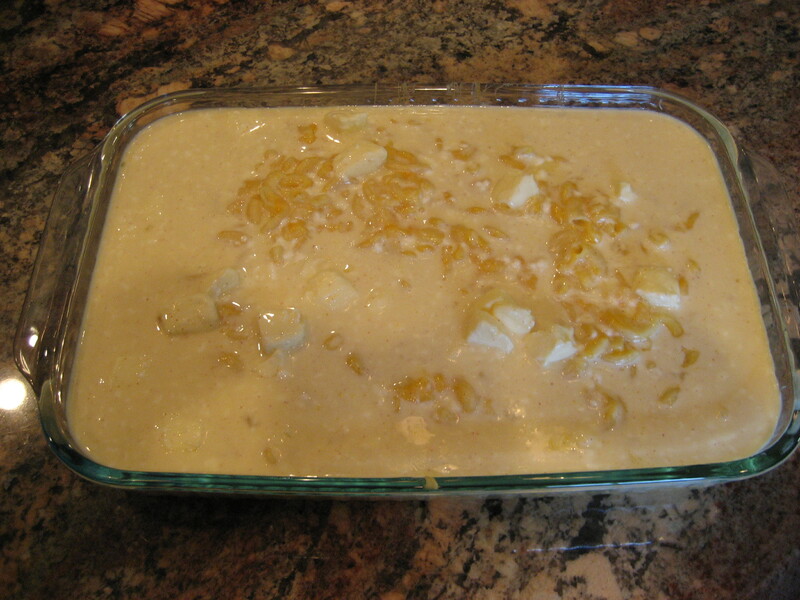 • Spoon approximately 1 tsp of dressing over this layer. 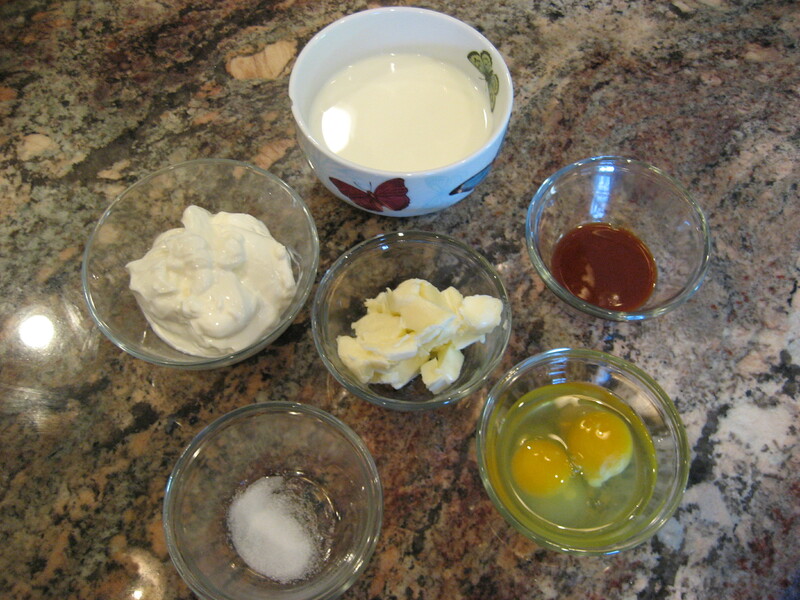 • Divide the egg whites equally amongst the 4 cans and arrange as the next layer. • Divide the bacon equally amongst the 4 cans and arrange as the next layer. 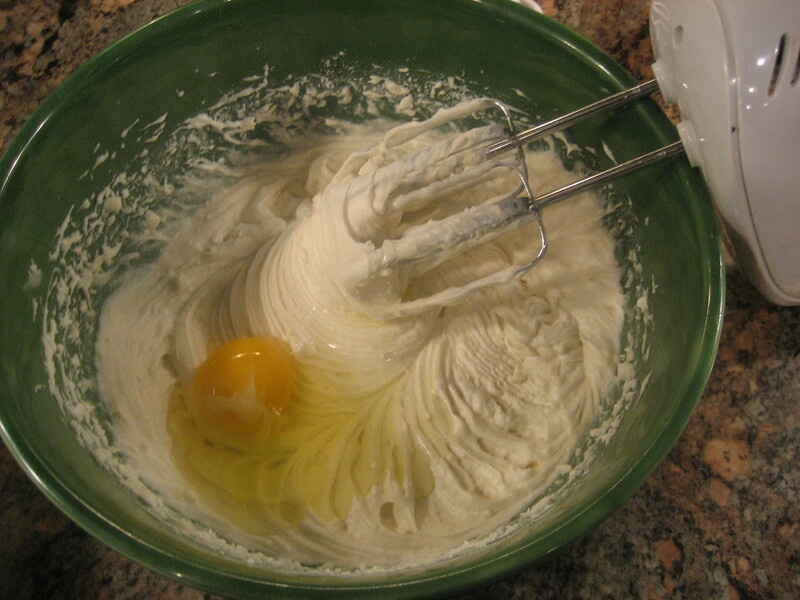 • Divide the egg yolks equally amongst the 4 cans and arrange as the next layer. 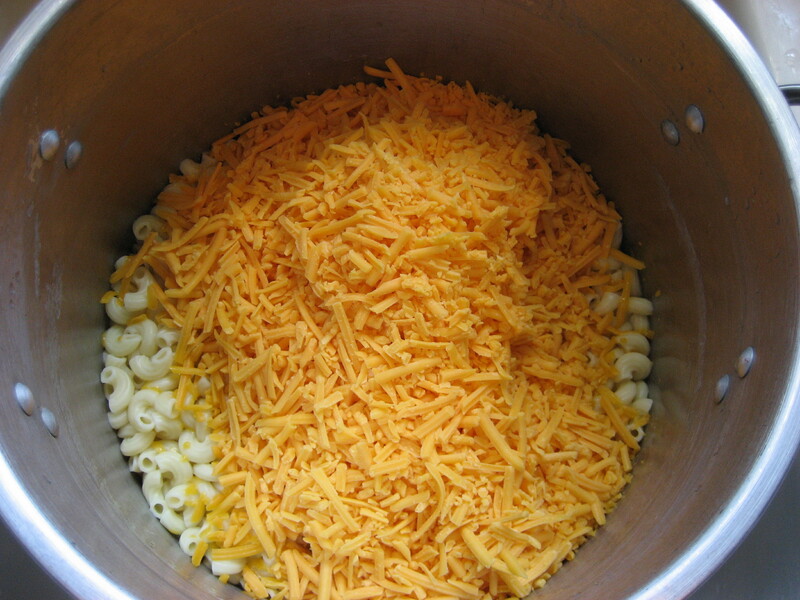 • Divide the cheese equally amongst the 4 cans and arrange as the next layer. • Divide the avocado equally amongst the 4 cans and arrange as the next layer. • Top with the meat of your choice; lobster, shrimp, crab, chicken…whatever makes you happy! • I cover the can with plastic wrap and secure it with a rubber band while it is in the refrigerator. 6. When you are ready to serve your creation, simply add the lettuce in a circle around the plate, leaving a small flat surface for the can. 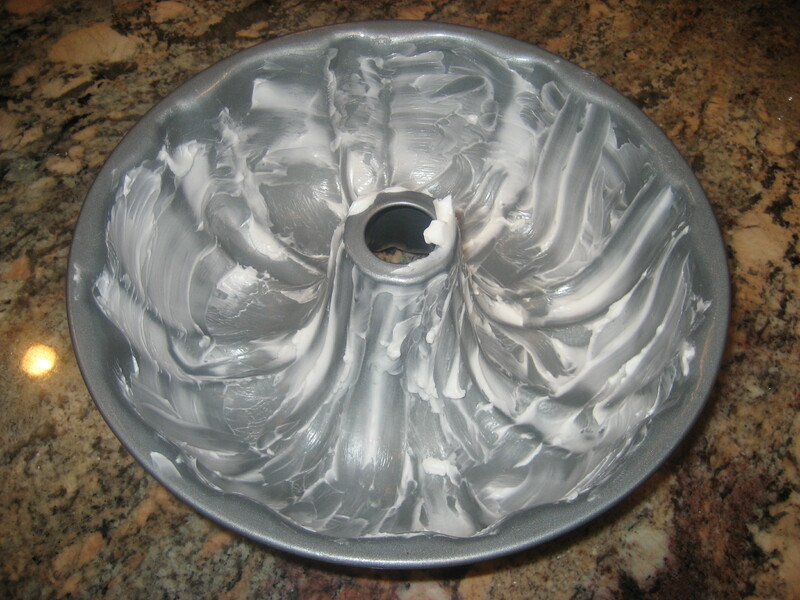 Carefully slide the can off the paper or bread plate, and on to the dinner plate, and remove the plastic. Gently and slowly slide the can upward, revealing the stacked salad. With any luck it will remain intact. 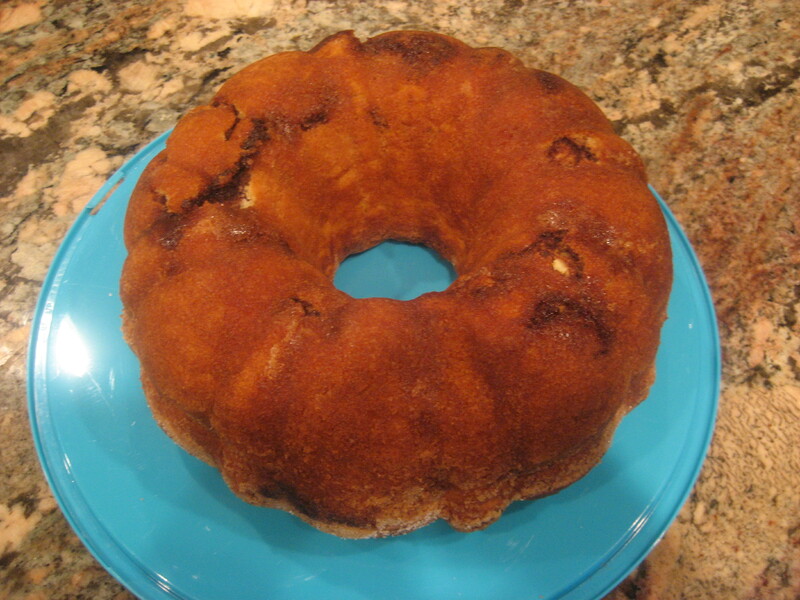 If some of it happen to fall over, not to worry, it will still be delicious! 7. Certainly serve extra dressing on the side (for people like me who only choke down veggies because there is an opportunity to savor tasty, flavorful salad dressing!). 8. I like to garnish with flatbread crackers. If you were brave and cooked a live lobster, then you could certainly, artfully arrange the antennae upright in the salad. You could also garnish with sprigs of tarragon. As an aesthetic person, I think it is equally important to be surrounded by pretty things, satisfying my sense of sight, in addition to my sense of taste. Today I was serving lunch in the teacher’s lounge, so from my vast collection at home (I do believe that I mentioned that I collect these items in 20’s), I brought placemats, cloth napkins, napkins rings, chargers, dishes, flatware and real glassware. If you are taking the time to make something special, go the whole nine yards! Again, I am all about authenticity. Rather than serve water or soda (because the Board of Education takes this funny stance about consuming alcohol during the school day, on school property, while you are responsible for minors….details, details, details), I served a lovely sparkling pomegranate juice. Sparkly drinks always feel luxurious, even when they are alcohol free (but I avoid that whenever possible. If I’m going to consume the calories, I’d better get buzzed!). Say Cheese! 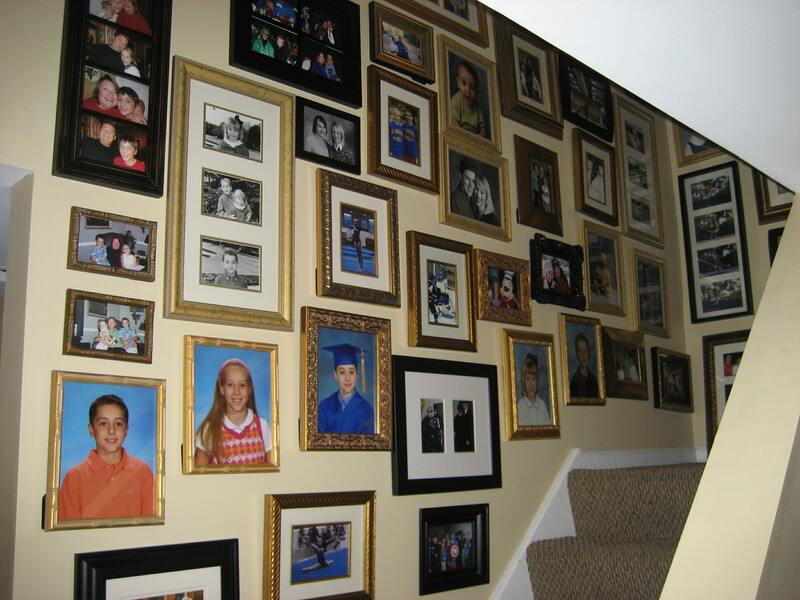 A Picture’s Worth a Thousand Words…..
As the More is More Mom®, I’m all about……….more family photographs! I am a total shutterbug. While I really like a beautifully posed portrait, I think I’m much more inclined to snap candid photos. A candid picture more accurately reflects a moment in time; joy, laughter, feelings of pride and accomplishment, competition, tender and poignant moments. When I was a proud young mother, I displayed half a dozen 8 x 10 framed photographs of Nick and Amanda on our mantle. Once, a guest commented, “Wow. That’s a lot of pictures!” I was so dazzled by their darling-ness that I lost sight of the fact that good design dictates a more appropriate and pleasing arrangement. My mantle is now so much more elegant and sophisticated, with an enormous landscape, beautifully framed, as the focal point. I’m a fan of balance, not necessarily symmetry. 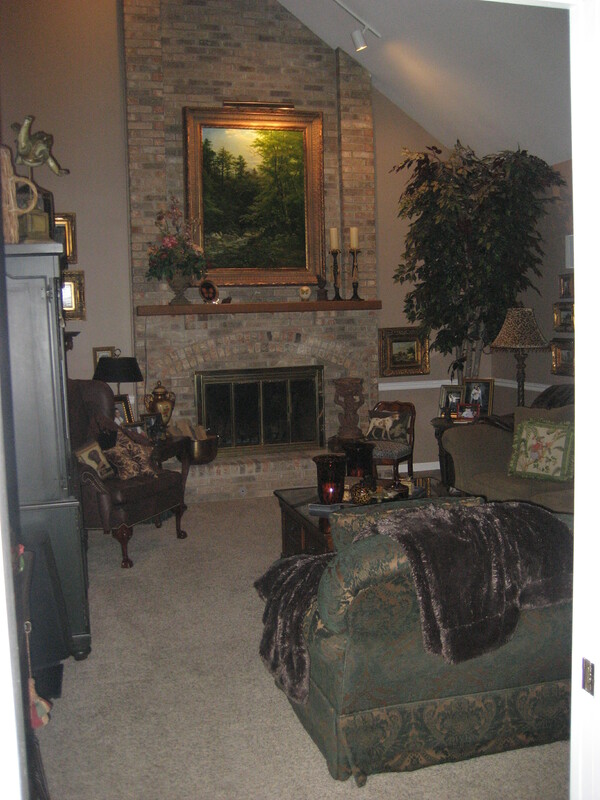 To the left I have a great floral arrangement in a fabulous stone urn. At its side, I have placed a gilded decorative plate featuring a butterfly. To mimic the height on the right side I chose two very tall iron candlesticks. Around the base of each, I tied a tassel for some details and embellishment. Capturing a whimsical moment, I have displayed a sweet iron statue depicting a frog on his pedestal throne alongside a sphere covered in decoupage butterflies. All very charming. Family photos, however, remain extremely important to me. They tell the story of our lives. Instead, I have chosen to create vignettes throughout my home. In displaying photographs, or anything else for that matter, it’s more visually appealing to feature items of varying sizes. Anything that is all the same size will feel like little soldiers all lined up in a row. The various sizes add interest and are more complimentary to one another. I am totally sentimental and mushy, refusing to live without my favorite images, of which there are plenty. 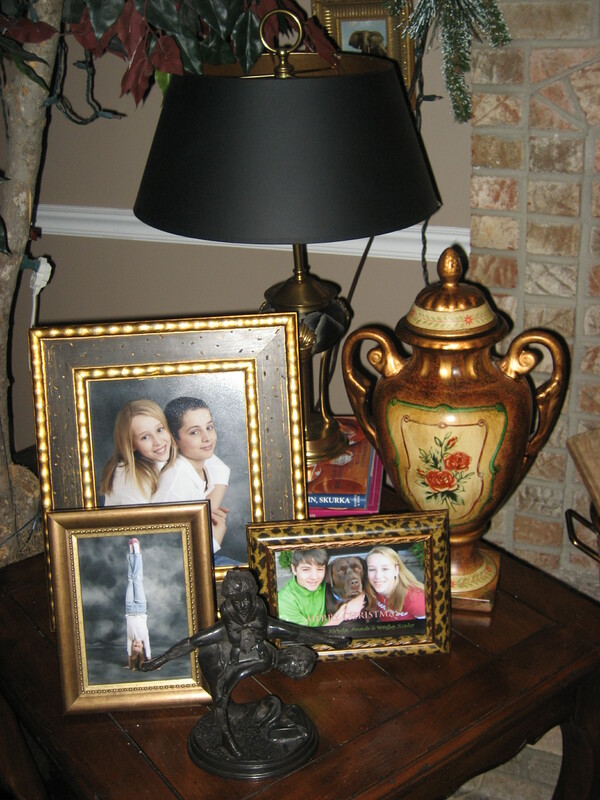 On an end table in my Family Room are a delightful collection of three photos of the kids. Framed, as a vertical 8×10, is a gorgeous close up portrait of Nick and Amanda from Christmas four years ago. I tend to prefer a close up, unless a landscape or a particular perspective is important to telling the story. One of my favorite snapshots is a horizontal 5×7 that I took of Nick and Amanda with Wrigley, their faces smooshed together. On display, I already have one vertical and one horizontal, so as a third, complimentary photo, I selected another vertical, but a 5×7. This shot is interesting because the perspective is different than the other two. It depicts Amanda doing a handstand, so it has a super vertical line. To offer some relief, I have displayed a youthful sculpture of a boy and girl playing leap frog. Collections displayed in one place have far greater impact than those that are scattered about. A round skirted table in my Living Room contains my collection of black and white photos. 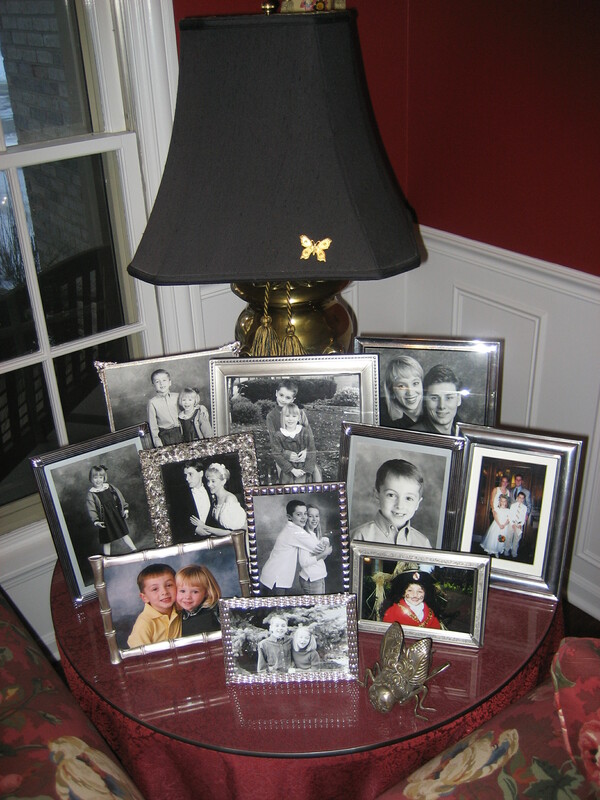 When displaying pictures, a great organizing principle is by subject matter or tone. 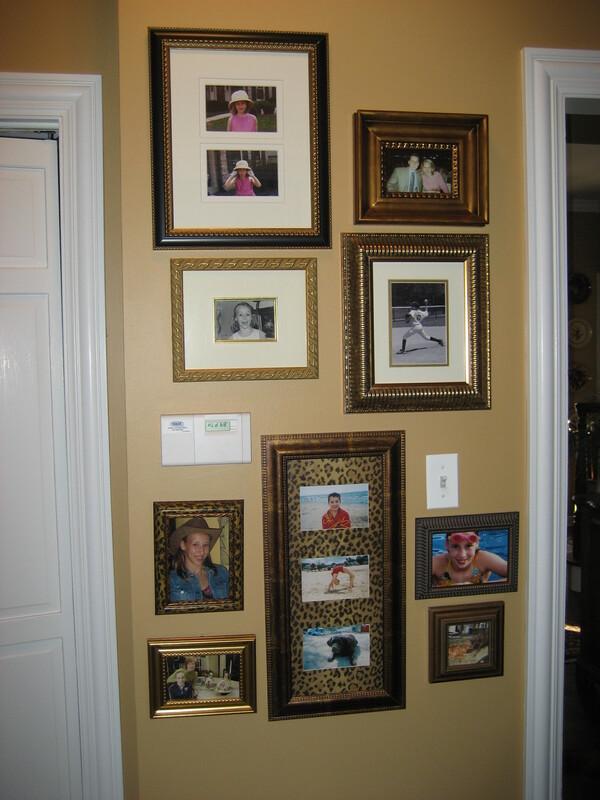 Another way to unify your grouping is by the style of frame. Black and white photographs are a stunning classic when featured in gorgeous silver frames. The frames shouldn’t be the identical. That would be so boring! They should look as if they have been collected over time. Empty wall space is hard to come by in our home. I view it as the perfect place to display artwork and photos while not taking up valuable floor space. Every time that I pass a sweet little arrangement on a small wall space in a small hallway, I melt at the collection of fun and silly family memories. 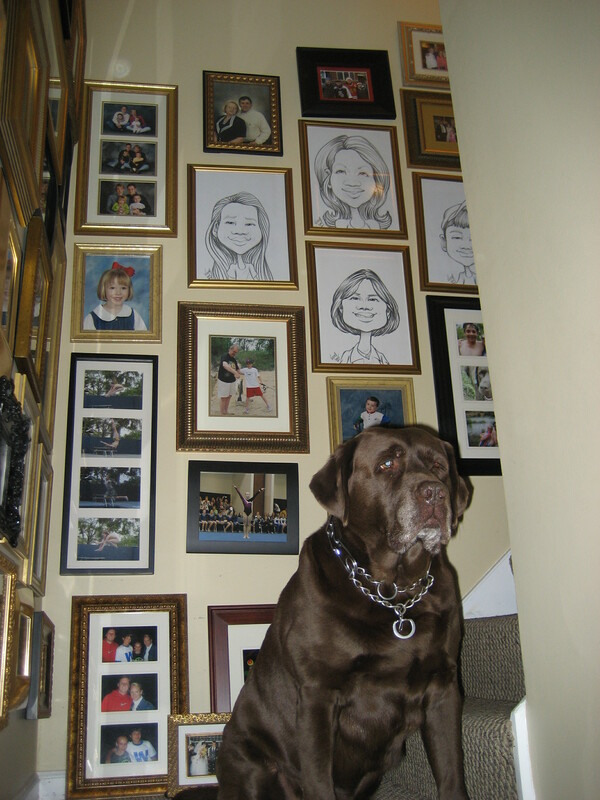 The piece de résistance, however, is the Wall of Fame (and sometimes shame), heading down to our basement. 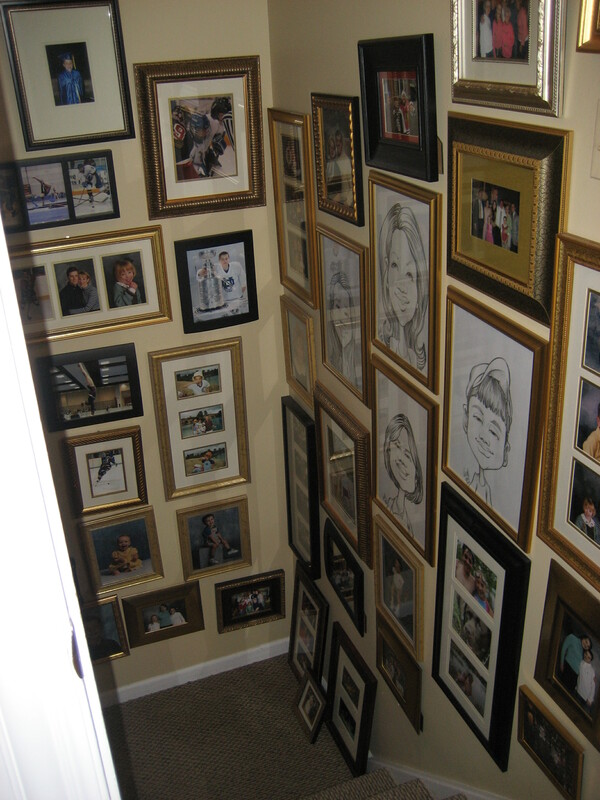 Here the photos are hung floor to ceiling, side to side. I love it! It reminds me of Sardi’s; cool, hip, artsy and sophisticated. The secret to displaying so many photos is, once again, the commonality of the framing and the subject matter. Another extremely important element is how you lay out the photos. If all of the pictures are the same size, then a grid like pattern could be interesting, though I favor a looser arrangement; one that looks as though it occurred over time. All it takes is some playing around with the various shapes and sizes. I might select a larger piece and start building around it until I come up with a pleasing design. Laying the pictures out on the floor allows you the perspective to put the puzzle pieces together. If you get stuck, shoot me an e-mail and I’ll give you hand.